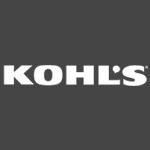 Get 30% discount when you use Kohls Cardholders at Kohls.com. Also, Shop men, women's apparel, sleepwear, active, accessories, cosmetics, fragrance, fashion jewelry, home. Apply coupon code to enjoy the discount. Grab the deal now! Plus free shipping when your is above $75.